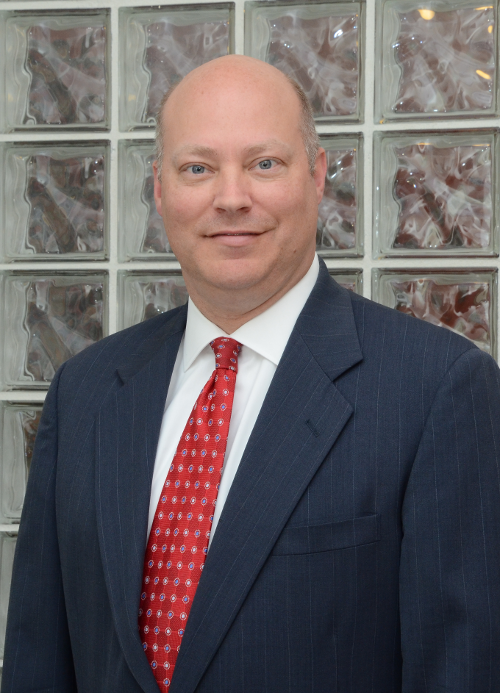 Philip Mullins has handled trial and appellate cases throughout North Carolina since 1993. Over the years he has tried complex jury trials, handled appeals, and represented a wide range of individual and corporate clients, including McDonald’s, Kmart and numerous insurance companies. The law firm recruited Philip in 2001 for his extensive litigation experience, knowledge of how their opponents approach cases, and his reputation for winning cases because of his skill, expertise and hard work. He joined the firm as a partner in July 2002. Since joining the firm Philip has been instrumental in obtaining numerous multi-million dollar verdicts and negotiated settlements involving serious personal injury and wrongful death cases arising from automobile collisions, trucking wrecks, and industrial accidents. Philip has also represented businesses and business owners in complex business litigation cases. Philip has been associated by other law firms and trial attorneys to work with them in representing their clients in significant cases. Philip is a member of the Million Dollar Advocates Forum, one of the most prestigious groups of trial lawyers in the country with membership limited to attorneys who have won million and multi-million dollar verdicts and settlements and was named to the “Top 100 Trial Lawyers in North Carolina” by the American Trial Lawyers Association. Philip has been voted by his peers as one of “The Best Lawyers in America” which is considered to be a singular honor conferred on a lawyer by his peers, and has an AV Preeminent® rating from Martindale-Hubbell, the highest peer rating available for legal skill and ethics. Philip is a member of the North Carolina Bar Association, Durham County Captain for the North Carolina Advocates for Justice, American Bar Association, and Durham County Bar Association where he served as President in 2010-11. Philip has served as an officer within committees for the Durham County Bar Association, including the Chairman of the Grievance Committee. Philip is admitted to practice in the courts of the State of North Carolina and the United States District Court for the Middle and Eastern Districts of North Carolina, the Fourth Circuit United States Court of Appeals, and the United States Supreme Court. Philip has authored articles and spoken at seminars for the education of trial lawyers. B.A., 1988, Wheaton College; J.D., 1993, Campbell University. At Campbell he was selected to represent the school on the International Moot Court team, was a published member of the Campbell Law Review and received the Thomas Anderson Scholarship. Also during law school he held the position of law clerk to the North Carolina OSHA Review Board. Philip works closely with the Juvenile Diabetes Research Foundation (JDRF) and has spoken frequently at events and fundraisers throughout Eastern North Carolina, successfully raising significant money to find the cure for Type 1 diabetes. His two sons both have juvenile onset diabetes (Type 1 diabetes).